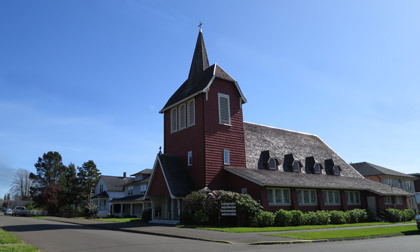 As early as 1941 mass was offered in Quinault by visiting priests who spent their summers there. 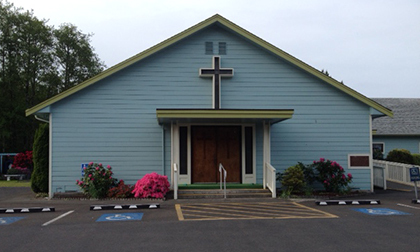 At that time a trailer parked in the schoolyard served as the church. 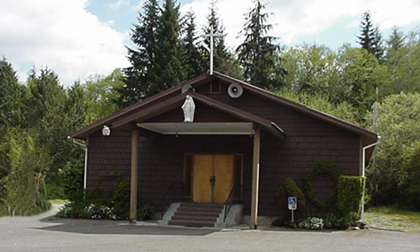 In the 1960's and 1970's weekly mass was offered at the Neilton Church and at the Quinault Lodge by priests from Aberdeen and Hoquiam. In 1973 the first resident priest, Fr. 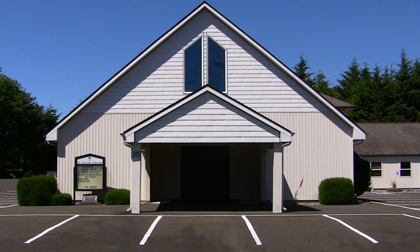 Thaddeus Dean, C.S.S.R., served the Quinault area, and in 1978 construction was begun on the current church building. 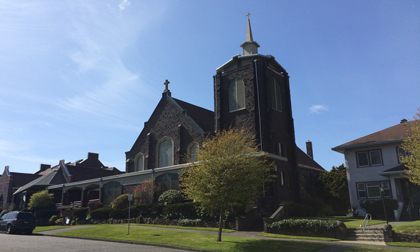 The first mass at the church was celebrated on August 15, 1981 on the Feast of the Assumption, and the church was aptly named Our Lady of the Olympics.